The 71 foot long, 110 gt fishing vessel Lydia & Maya suffered uncontrolled flooding in the Gulf of Maine off Southwest Harbor, Maine. The crew alerted the Coast Guard that the fishing vessel was taking on water. A short time later, the EPIRB from the Lydia & Maya was sounded. The Coast Guard launched the 47-foot long response boat along with a Jayhawk helicopter to the scene. The helicopter arrived on scene and found the four crew of the Lydia & Maya in a life raft. All four crew were hoisted to safety. All four men were suffering from hypothermia and were taken to hospital for treatment. The fate of the Lydia & Maya was not reported. The Coast Guard has launched an investigation into the incident. 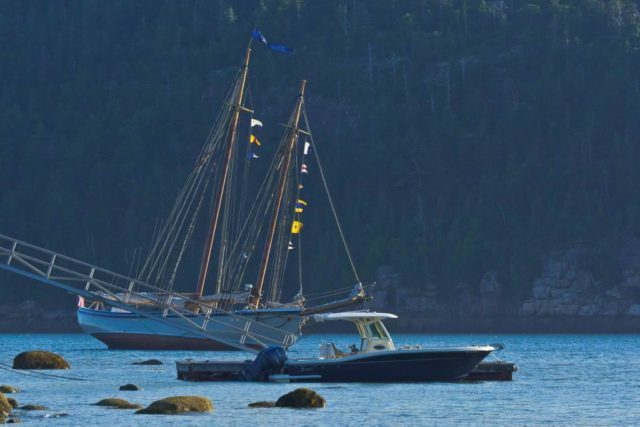 On August 3, the 79 foot long schooner American Eagle ran aground in Somes Sound near Mount Desert Island, Maine. The schooner was participating in a regatta with 25 passengers when it got stuck. The crew contacted the Coast Guard who arrived on scene a short time later. The Coast Guard safely transported the passengers off the schooner. 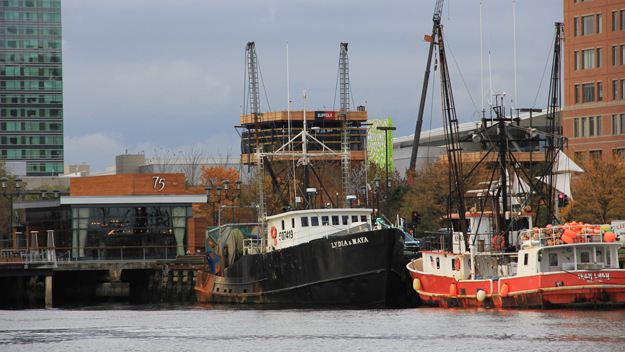 The crew remained on aboard waiting for the next high tide to refloat the American Eagle. No reports of injuries, damage or pollution released. 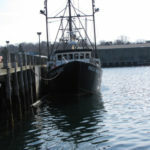 On April 27, the 63 foot long fishing vessel Paulo Marc became disabled 90 miles off Portland, Maine. The trawler had suffered engine problems which left it without power while out fishing for groundfish. 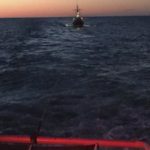 The vessel requested assistance with the Coast Guard dispatching the 87 foot cutter to the scene. 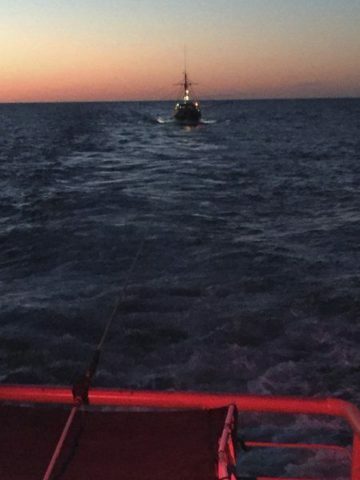 The cutter towed the Paulo Marc towards Portland where near the shoreline another fishing vessel took over the tow. No reports of injuries to the four crew on board.